‘Genocide’ in common parlance is the word that comes to mind whenever a massive death toll results from a state-backed onslaught on people of a disliked, demeaned and different ethnic group. As a matter of international law, a state is responsible for genocide when its agents, with the intention of destroying in whole or in part a national, ethnic, racial or religious group, kill or cause serious mental or bodily harm to, or inflict destructive conditions of life on, such a group. There is never much doubt about the sufferings undergone by the group — the question of responsibility generally hinges on whether there is proof that political or military leaders intended to rid the country of the group as a social unit. It is not sufficient just to disperse its members, but it is certainly not necessary to liquidate them all. Size, in fact, does not matter — the World Court (the ICJ) held that there was genocide at Srebrenica, which involved the killing of 7,000 Muslim men and the deportation of 18,000 women and children. 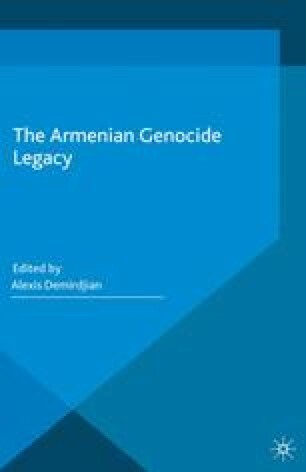 This chapter is excerpted from Geoffrey Robertson QC’s book, An Inconvenient Genocide: Who Now Remembers The Armenians?, published by Biteback and Random House in 2014.